Chris Martin and Gwyneth Paltrow told their children's school they were separating last week so the establishment could prepare for added media scrutiny. Chris Martin and Gwyneth Paltrow told their children's school they were separating last week. The couple - who have daughter Apple (9) and son Moses (7) together - wanted to let staff at the private Los Angeles establishment be aware of the situation as a "courtesy to prepare them for the added media attention that would come" once the news became public knowledge, Entertainment Tonight Online reports. It has been claimed that Fix You singer Chris has been staying with bandmate Guy Berryman in London, and insiders say one of the problems between him and the actress - who used her Goop website to announce their separation on Tuesday - was her insistence on Living in Los Angeles, when he wanted to be back in the UK. A source told RadarOnline.com: "He hasn't been happy living in Los Angeles because Chris just isn't into the Hollywood scene. Since moving to LA, Chris has been away from the band, and he has essentially put his career on the back burner. "At first, Chris was doing it for Gwyneth because of the sacrifices she made for him, especially since he would be on the road for months at time while the band was touring. However, Chris now recognises that Gwyneth doesn't need to be living in Los Angeles for her career." The 37-year-old singer is now planning to commute "back and forth" between the UK and US to spend as much time as possible with his children, who will remain in Los Angeles with their 41-year-old mother. The source added: "The plan is for Gwyneth to remain in California, with their children. 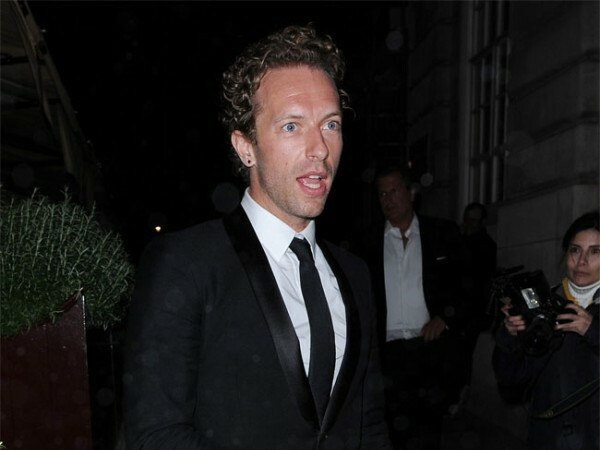 Chris will absolutely be moving back to London, but will commute back and forth to see the kids."